Welcome to the fitting room. These links can help you select your size before you go to the store. Apparel Search does NOT guarantee the accuracy of information in this section. All bodies are different. Therefore, making garments fit well is a difficult task. On these pages you will find clothing size reference guides that should be utilized at your own risk. The standards may have been updated after we posted this page. Also, their are many different size standards floating around in publication. It is really hard to determine which guides are most accurate for modern times. Unfortunately, body types and sizes are continuously changing. Again, this is just for reference only. Don't blame us if your garments do not fit properly. Good luck with your sewing projects. FashionMe: FashionMe offers a breakthrough for the European fashion industry. 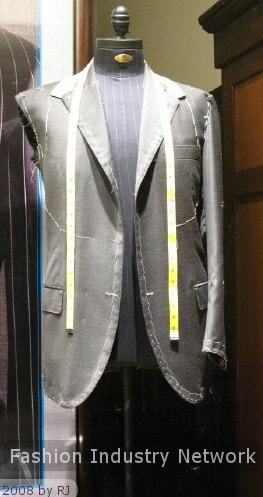 Customers will be able to try on custom tailored clothing "virtually" using avatars over the internet. My Virtual Model My Virtual Model Inc. has set the standard for online apparel shopping. Two core technologies;My Virtual Model dressing Room and My Fit enable consumers to "try on" clothes on the Internet. The year 2002 saw the introduction of a third product, My Virtual Model Imail. This innovative marketing tool offers a unique, fun and simple interactive MVM Dressing Room integrated in an e-mail. For merchants, deploying My Virtual Model technology improves bottom-line profitability by increasing revenues while cutting costs. Shoppers using My Virtual Model solutions spend more, buy more and return far fewer items resulting directly in reduced shipping and handling costs. It would be a good idea to read the following definitions. If you work in the fashion industry and have questions regarding garments sizing and garment fit, don't forget to join in the pattern maker discussion group at the Fashion Industry Network. If you know of any other helpful sizing chart or conversion information, you can contact us at any time. We would be happy to add links to additional clothing resources for your convenience. It is hard to find clothes that fit. Have you seen our calculator page?